Photo inset #1 of stems of 'L. michiganense' being grown by Gene Mirro. Copyright Gene Mirro, all rights reserved. Used with permission. Insets #2 and #3 are of Edgar Kline studio shots. #1 was labeled L. michiganese, Friemann which we were particularly pleased to find as LeVern was a close and dear friend. #2 was labeled L. michaganese, Palmer referring to R. C. Palmer of Summerland, British Columbia, Canada. 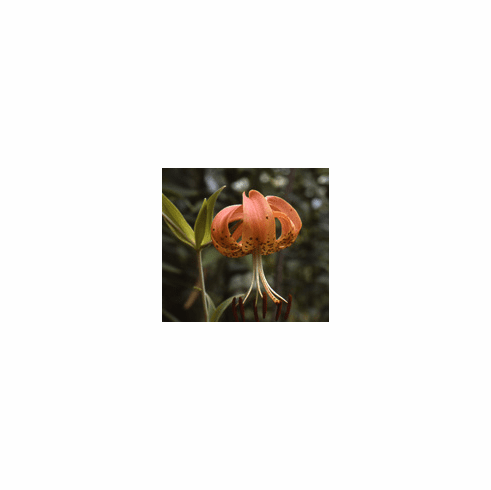 Both slides were taken in the late 1940's and give indication to the variance in the appearance of flowers. Photo insert #4 Photo insert copyright Pontus Wallsten, all right reserved. Used with permission.